"ಹಿರೇ ಹಡಗಲಿ " is a busy village located on the State Highway SH 40 which is a link between Hoovina Hadagali and Ranebennur. Thanks to the ASI staff for insisting us to visit this temple. 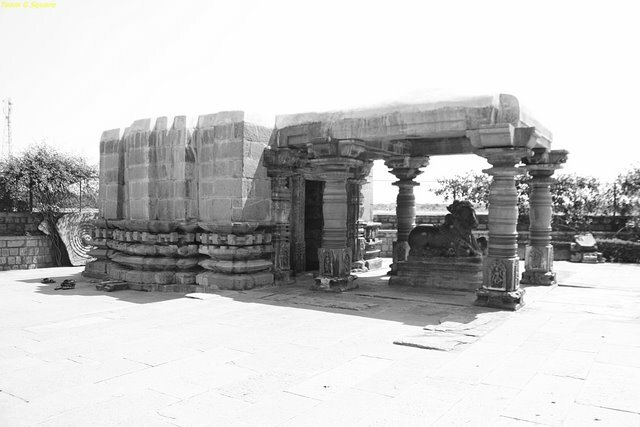 This place is home to a beautiful Chalukyan temple dedicated to Lord Kalleshwara. 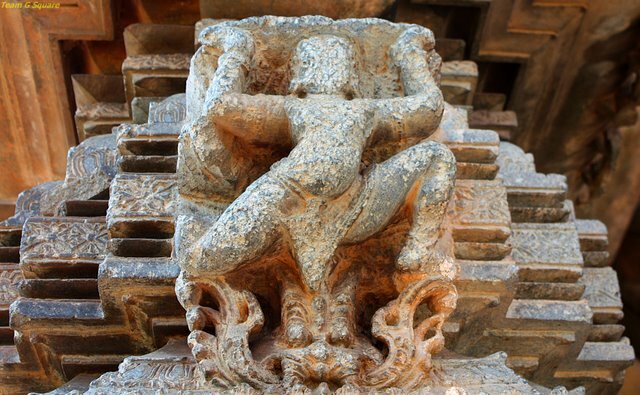 The Art critic Alexander Rea has described this temple completely in his book titled "The Chalukyan Architecture". 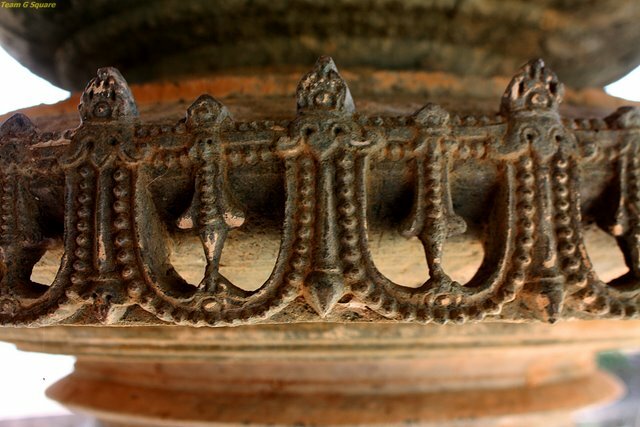 He summarizes in his book that 'every detail of the carved work is as minutely finished as jewellery'. This temple is locally known has 'Katte Basaveshwara' temple. One of the inscriptions found here also calls it 'Demeswara'. 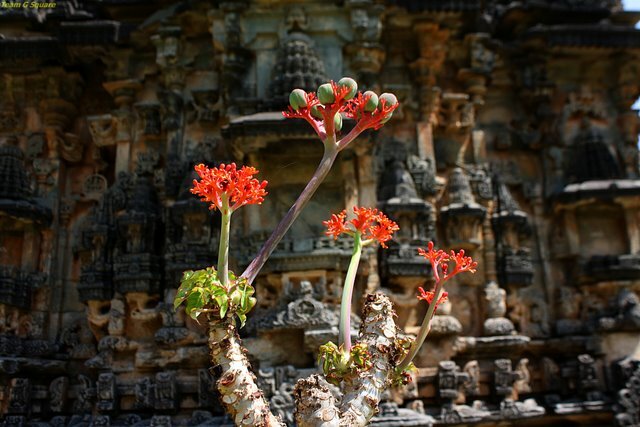 The temple is believed to have been built during 10th Century by the Kalyana Chalukyas. 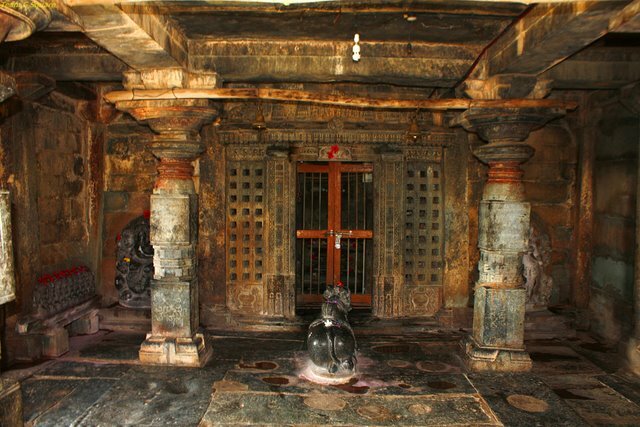 It is undoubtedly one amongst the most beautiful temples of Karnataka.There are two entrances to temple (one facing east and the other facing south). 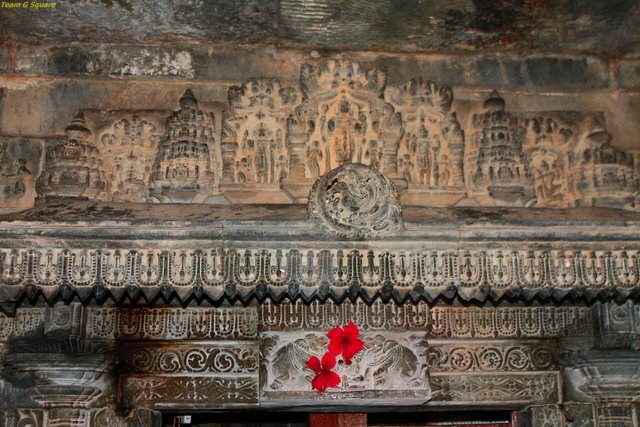 The unique feature of this temple is the embossed carvings on the pattikas. 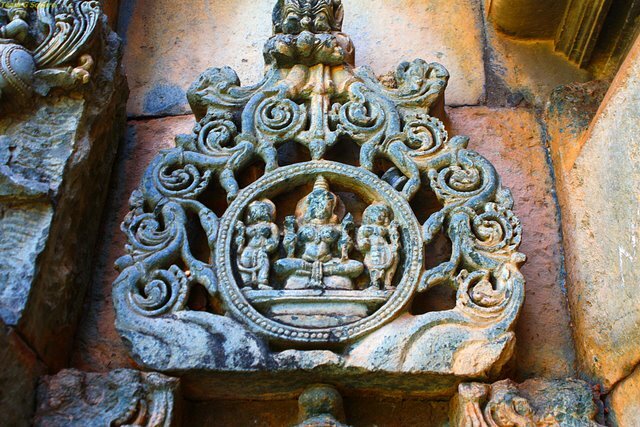 The outer walls of the temple are extremely beautiful, carrying heavy carvings of unusual styles and designs.The main temple houses idols of Ganesha, Sapthamatrikas, Uma-Maheshwari and Bhairava. All the doorways and the pillars are of classical Chalukyan type. 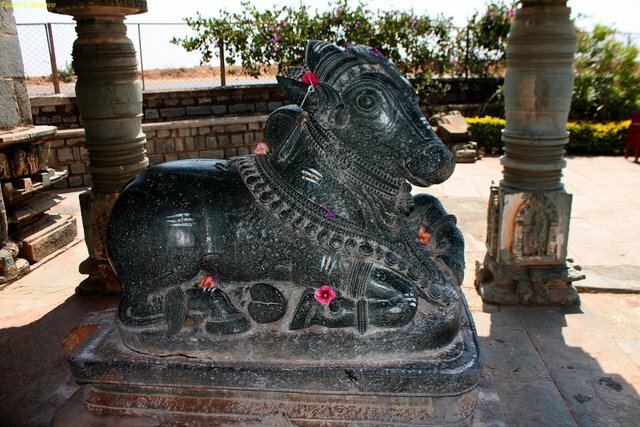 There is a small idol of Nandi inside the temple. Another temple situated opposite to this temple is dedicated to the Sun God Lord Surya and has a huge Nandi in its front, facing the Kalleshwara. 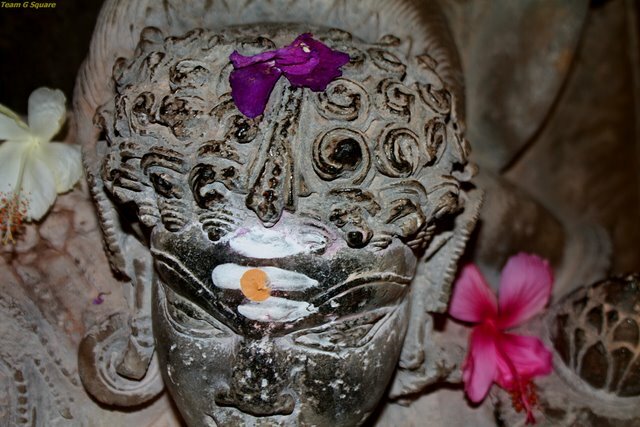 The ASI has maintained this temple and its surroundings well and has appointed full time care takers. Awesome temple... And Super pictures..
An awesome temple indeed! 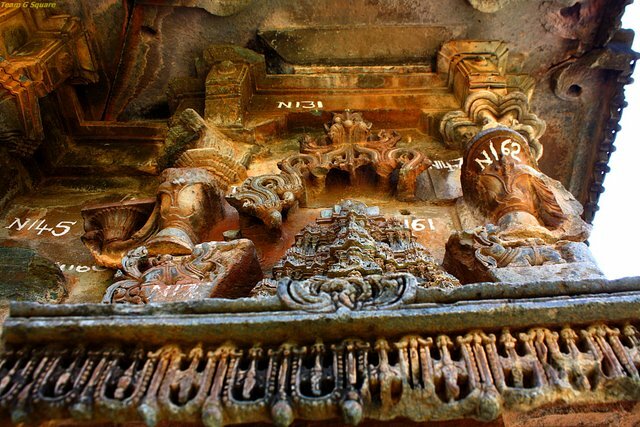 The carvings are exquisite and amazing! Breathtaking captures for the day and such fascinating history! Thanks for sharing the beauty and the history! Nice temple... Had not heard of this place.. It is a nice temple with good carvings. Good photos. 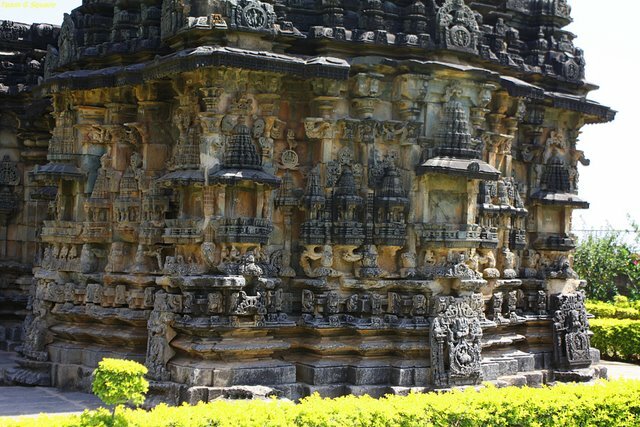 The carvings of this temple, both interior and exterior are exquisite and beautiful. This temple is truly a gem. Thank you for sharing it with us. The Temple is so beautiful and I love the intricate carvings and detail. The carvings are fantastic ! These photos are very gorgeous! 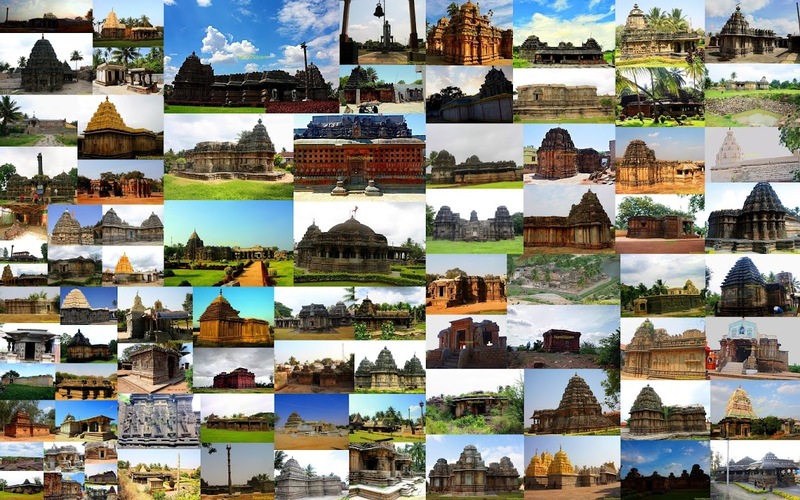 Interesting to see such old temple in your country.The seventh photo is my favorite!! Beautiful work on the temple...Thanks for sharing! Beautiful sculpture work on the temple. You are a true discoverer and wanderer!! Hats off to finding such lovely places. sHOWS THE ENGINEERING OF OUR FORE FATHERS! 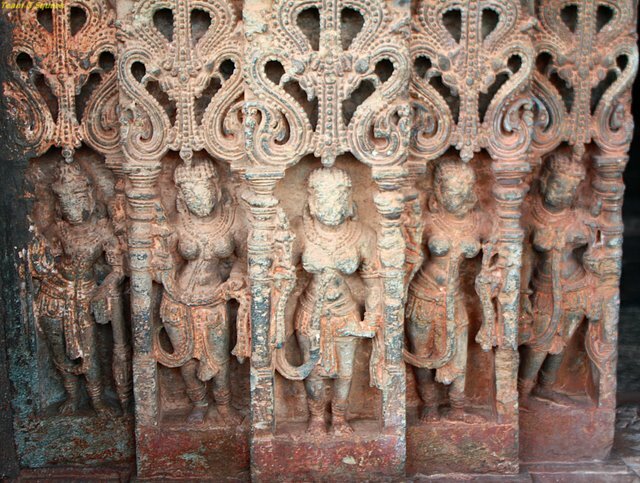 Fantastic carvings. Such intricate work..
That is a lovely post! I like the lion hunting snake pic! Yep, and proud to mention IT'S MY VILLAGE!!! Absolutely beautiful place! Fantastic composition at the bottom. PLS VISIT HIREHADAGALI KATTIBASAVESHWARA TEMPLE &IMPROVE YOUR HISTORY FEATURES.THANKS TO ALL.